(Natural News) As populations increase and economies grow in Southeast Asia, so too does the demand for electricity. Yet instead of constructing power stations, companies have turned to putting up dams along one of the most iconic rivers in Asia. The Mekong River has become the focus of efforts committed to bringing hydroelectric power to millions all over Southeast Asia, but at what cost? Researchers from the University of Illinois and Iowa State University paint a grim portrait of the effects. In the paper, he and co-author, Lois Wright Morton, discuss at length the damage brought on by the construction of dams. They concentrated specifically on the Xayaburi Dam, the first of 11 dams planned for the lower Mekong. Preliminary construction is believed to have begun in 2012, the time in which the Laotian government admitted that there was indeed a Thai company working on the dam’s development. It has since become a subject of controversy and the cause of local protests that ended in violence. “Many are concerned that the Xayaburi Hydropower Dam in Laos, could cause irreversible and long-term ecological damage to a river that feeds millions of people, force the resettlement of 2,100, directly affect 202,000 people who use the Mekong bottomlands to produce food, and may push endangered fish, such as Mekong giant catfish, to extinction,” wrote Olson and Morton. “Resettling rural people in uplands means the soils are different, often less fertile and not well suited to rice and vegetable crops they are familiar with. They will need to learn new agricultural practices, different fishing strategies [river vs. lake] and make or purchase different fishing equipment. This kind of change takes time and personal resources that people often don’t have,” Morton explained to ScienceDaily.com. Protests have erupted in response. Though initially peaceful, the protests escalated to the point where any person associated with the Xayaburi Dam was assaulted. From bomb incidents to sniper shootings to skirmishes between workers and protesters, there has been no shortage of drama surrounding the dam. Ultimately, Olson and Morton acknowledged that hydropower would indeed greatly benefit Laos. But there was no denying its influence on the people and the environment. Reducing these effects would fall on the shoulders of the Mekong River Commission, an organization sorely lacking the clout needed to protect the Mekong River. “The MRC is only powerful if the countries that fund it give respect and authority to its rules and regulations, even if they don’t always agree with them. This is a difficult governance challenge which they are working through,” commented Morton. 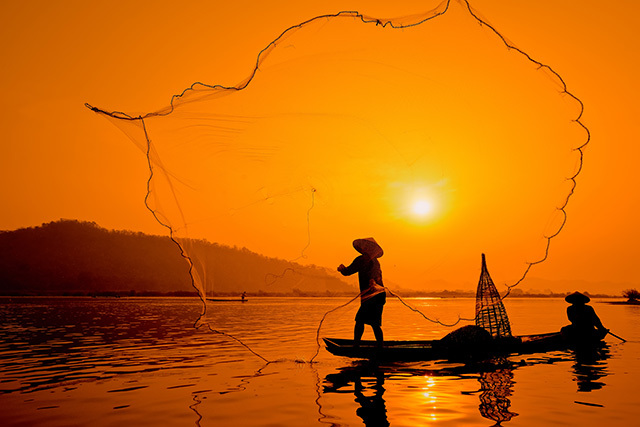 Stay up-to-date on any future news about the Mekong River by visiting Environ.news.